Straight teeth can give a sense of confidence and pride, but for some, the thought of wearing metal braces for months, or years, may be less appealing than living with crooked teeth. Thanks to advances in dentistry, metal braces are no longer the only option for improving alignment and enhancing the smile. Invisalign® is one such advancement, providing a discreet alternative to traditional orthodontics and thus making it possible to improve the smile’s appearance without the need for metal braces. Many patients considering Invisalign® treatment often have questions about what treatment entails and how long they can expect treatment to last. Dr. Tom Drake answers these questions and provides a personalized Invisalign® treatment timeline during patient consultations at his practice in Bonner Springs, KS. Contact our staff today to schedule your own consultation. The first step in the Invisalign® treatment process is to determine if Invisalign® is the right treatment for your needs. The teeth will be assessed during a dental exam to determine if Invisalign® is suitable for your alignment issues. If severe alignment issues are present, such as significantly rotated teeth or major bite issues, traditional orthodontics may be the better option. Once alignment issues are deemed treatable with Invisalign®, a treatment plan will be created. 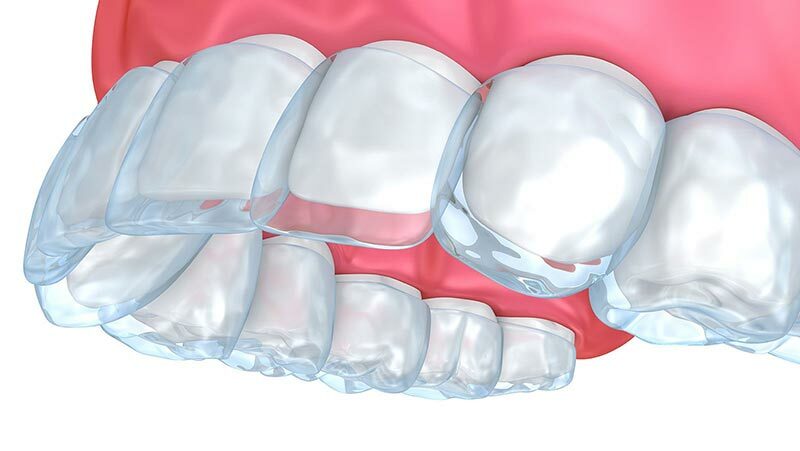 At this time, impressions will be taken of the teeth in order to create a series of custom-made aligners, which will be used to gently correct the position of the teeth, similar to how metal braces are used in traditional orthodontics. The first set of aligners will be ready in a few weeks, at which point the treatment process can begin in earnest. Several weeks after the initial consultation, Invisalign® treatment will begin with an appointment to fit the first set of aligners. Aligners must be worn for at least 22 hours each day. 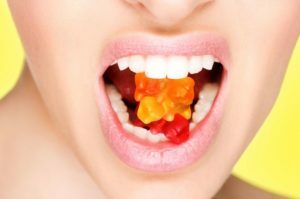 They may be removed while eating or to brush and floss the teeth. It’s essential to wear aligners for most of the day and throughout the night to ensure successful treatment. Every two weeks, Invisalign® aligners must be changed to a new set, which will be slightly different than the last, to gradually reposition the teeth. Patients will be required to attend follow-up appointments about every six weeks throughout treatment to ensure treatment is progressing as desired. Treatment will continue with aligners being changed every two weeks and follow-up appointments every six weeks until the teeth have moved to the desired alignment. Each patient’s exact treatment timeline will vary based on the degree of alignment issues as well as how consistently aligners are worn. Many find that treatment takes about the same amount of time as traditional orthodontics. With that said, some may achieve their desired smile within as little as six months, while others may take up to two years. If you are unhappy with the alignment of your teeth but want a discreet orthodontic treatment option, Invisalign® may be right for you. To find out if you’re a candidate for Invisalign®, we welcome you to schedule a consultation with Dr. Drake at your earliest convenience. Keeping your smile healthy well into the future starts with creating healthy at-home habits followed by regular visits to our Kansas City Dentist twice a year. To learn more about your treatment options, call Drake Family Dentistry to schedule your next cleaning and examination.